Beanies galore! The top ones are new. Hoping the spiral Noro beanies are a hit. After my recent successes at the Rylstone Artisan Markets, I have stocked up heavily (which has also meant lots of knitting). My big sellers to date have been the lacy mohair and silk scarves as well as the fingerless mitts, with beanie sales increasing now the weather is chilly. And of course lots of mitts for frozen hands. Good for a cold Winter Market day. This is the first “Winter” market and I’m hoping to continue my fortunate streak. 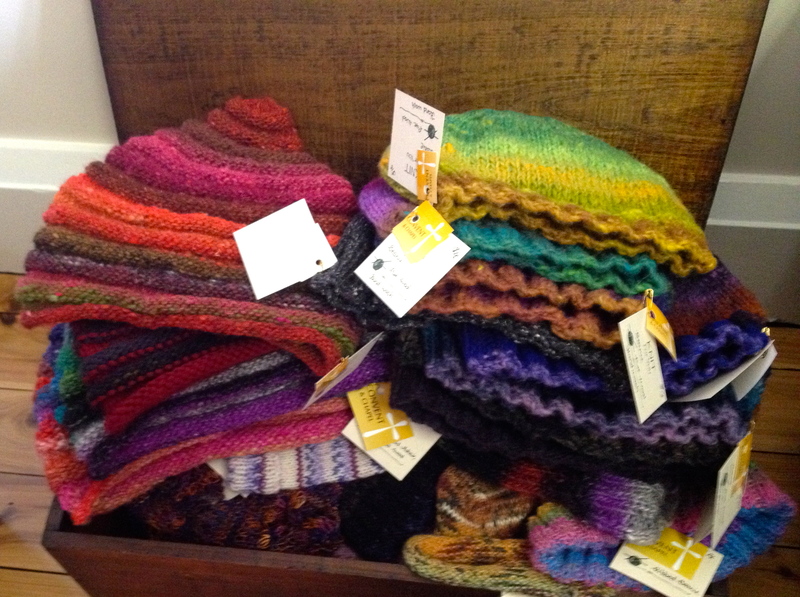 This time I’ve added a stack of Noro beanies – spiral and plain, as well as a bumper load of mitts in gorgeous yarns. The markets let me indulge, with my main yarns so far being Rowan Silk Haze, Noro – Kureyon and Silk Garden, and for the linen stitch scarves a bit of a mix with alpaca, merino and mohair blends. Peartree is wonderful to work with and provides a great finished item. This month I’ve experimented with Madelinetosh Sock yarn and I’m also using some of the wonderful vintage Lush hand dyed yarns I bought a few years ago. It’s rewarding to be playing with a stash that I’ve been building up. 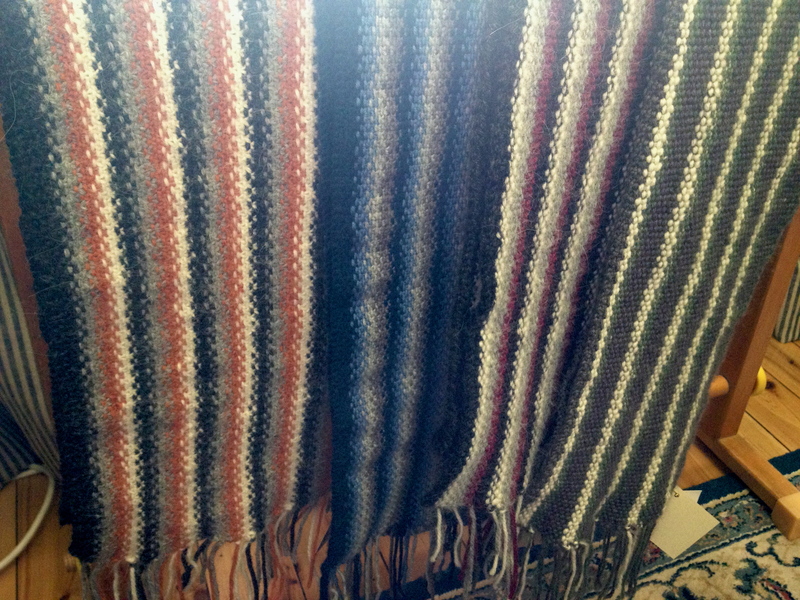 Linen stitch scarves – such a different woven texture to normal knitting. These let me play with wonderful colour and texture combinations. 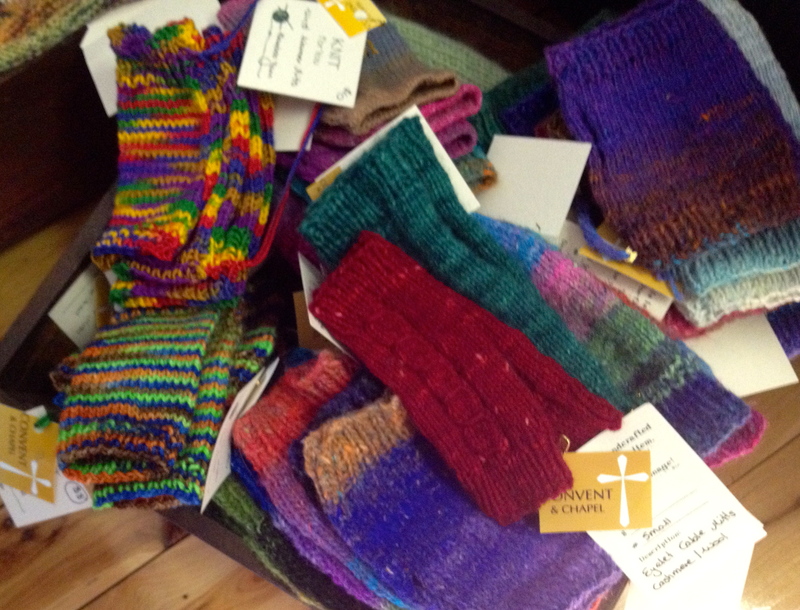 Nippy weather usually means cold fingers and ears – making the mitts in particular popular items, with mitts and beanies usually donned on the spot. I now have a much better sense of how to set up for the markets and what people like and I’m also very pleased with how my stall looks. I’ll let you know how I go this round. 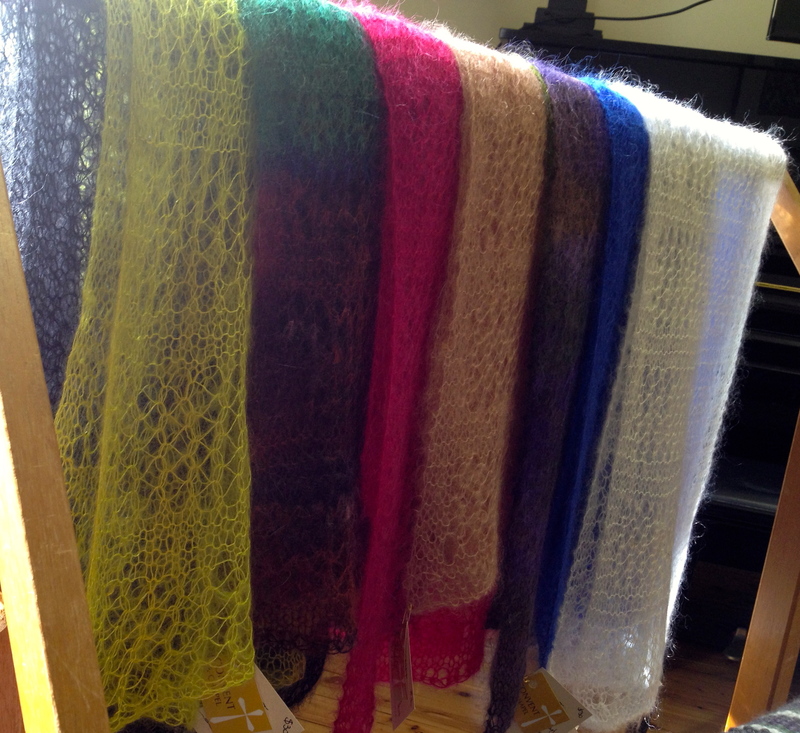 Fishnet lace scarves in a silk/kid mohair blend that could float away in a breeze. These have been popular as gifts, particularly to post or take overseas.